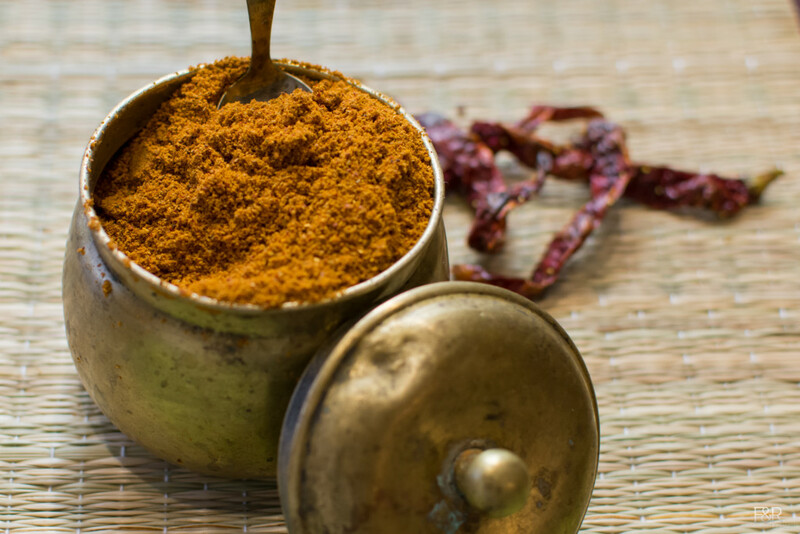 This Bisbelebath powder recipe is from my Mother, who makes excellent Rasam, Sambhar and Vangibath powder in an authentic way. Heat the pan on a medium high heat. Add oil, then add all the ingredients ( channadal, urad dal, jeera/ cumin seeds, mustard seeds, methi/ menthya/ fenugreek seeds, cinnamon sticks, cloves and both variety red chillies ) except dhania and poppy seeds. Fry it until channa dal and urad dal turned into golden brown. Once it turned golden brown color, add dhania and poppy seeds. Fry it for a minute. Then grind this to a fine powder. Put the powder in the pan and mix it really well. Now the Authentic Mysore Bisi Bele Bath Powder is ready. Store it in a container and use it to make authentic BisiBelebath. Sorry for the late reply. It is ok to skip the gasagase., it does give some flavor, but with out that also tastes very good . you add desicated coconut or copra gratings ,while grinding the powder add copra also. if dry fry the copra gratings thats more good. Shamala, if we add coconut to the powder itself you cannot store it for long time. So we use it while making the bisibele bath. Sorry for the late reply, somehow I missed this message. I use US standard dry measuring cups. For those of us in USA, how would you describe the flavor and hotness of the byadgi and smooth chiles? Any hints for substitution? I’m thinking of using hot chile arbol for the guntar and milder chile pasilla or guajillo for the byadgi. I am not sure which variety I should relate to. Byadagi chilli is known for its deep red color and is less spicy, Guntur red chillies, on the other hand are the hottest ones.I feel Chile arbol is kind of guntur variety, may be cayenne pepper is byadagi. I will try few varieties from here USA and let you know. This is a very nice blend. I appreciate that you don’t include cardamon, and not too much cinnamon and cloves, which would send it toward garam masala. The only change I made was adding a tiny touch of mace, which I thought complimented the other flavors. I’m curious how the flavor changes if one were to dry roast the spices rather than fry in oil. Regarding dry roasting the ingredients, you can dry roast all most all ingredients except chillies, cinnamon and cloves. Just roast these with 1/2 tsp oil. thank you! btw, i added the mace toward the end of cooking, not to the masala, since it’s heat sensitive. And not too much, a little goes a long way. Thanks, I will try mace. For those wanting a smaller quantity here is a quarter recipes (1/2c): 1T channa, 1T urad, 3T coriander, 3/4t cumin, scant 1/4t mustard, 1/8t fenugreek, 3/4t poppy, 3″ of flat cinnamon, 2 cloves, 5 hot chiles, 11 mild chiles, 1/2 T oil. I used chile arbol for the hot and only a single new mexico mild red chile for the byadgi, since I live in USA. I made this for family and I’ve got to say: they were licking their lips! We’re American and I have not understood with other recipes why this dish is so popular. But now I do! It’s so comforting. Tell your mom her powder converted some Americans. Aside from the powder, I highly recommend you don’t skip the kohlrabi–it’s essential IMO. And must use short grain rice (not basmati)– it was like night and day.